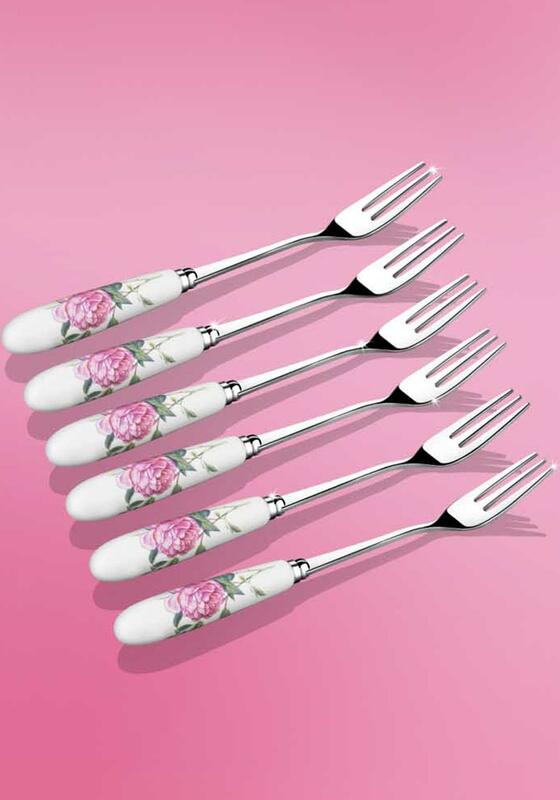 The Rose Collection of Fine China by Newbridge Home is truly unique. Each piece features a tapestry of pink roses complemented with green decorative leaves. 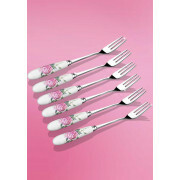 Stainless steel pastry fork set of six with rose detailed ceramic handles.